I am so happy to share something exciting with you today! “NOT ORDINARY SOULS: INTERVIEWS WITHIN” series over on her blog! In my case, I think she has me down to a T. I am striving to be a certain person in life and I want to be seen a certain way, and to read her words about who she thinks I am…It makes me want to cry tears of joy and makes me want to pump my fist “The Breakfast Club” style! I would love for you to read it and get to know me a little more! And i would love to get to know you more! Please tell me if you read it and what you think! You can read my interview here! 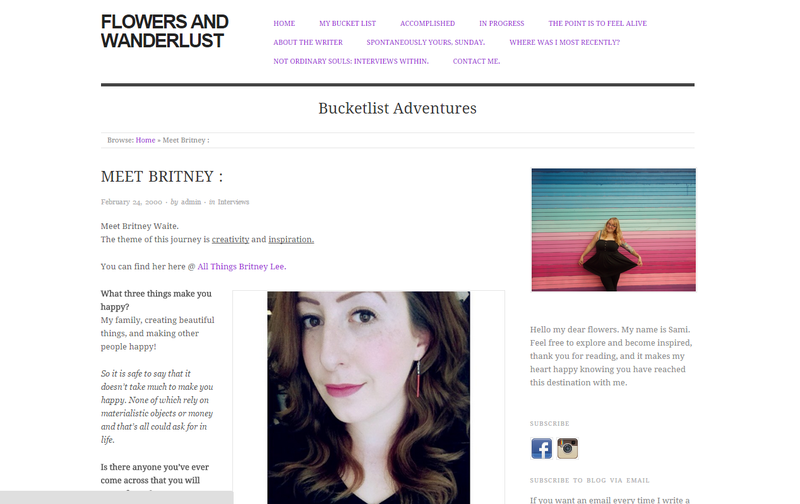 < Previous Blog Anniversary and Re-Design! Next > CHATTY MONDAYS / new feature and dealing with loss. Thanks!!! I love it so much! Thanks darling!!! I love it so much! Thanks so much! She did amazing! Thanks so much darlin! Glad you liked it! This makes me so happy! I’m glad (you especially) and so many others loved reading all about you! You were the star of the show. Haha! I had so much fun asking you these questions and learning more about you and the things you love. I think we did a great thing! I’m so glad I asked. Once upon a time I was afraid to ask you because you were this great blogger who I followed and modeled after when I first started. Now we’re friends! Ah. When hubby and I get to do our west coast road trip, let’s meet up! But anyway, thank you again; this turned out to be so fantastic and heartfelt. 🙂 You da best girl! Awwww you are so sweet! I am not some great blogger that you can’t ask! Lol that’s so crazy you feel like that because I feel like I’m a terrible blogger! lol so never be afraid to ask people! Ask EVERYONE! They should want to be a part of this! I’m glad we got to do this process together, it was fabulous! Yes I am glad we are friends 🙂 and whenever you come on the west coast we will totally meet up!! Well, I got that now! When I first started, I didn’t know what the heck I was doing. You’re definitely not a terrible blogger! I’m getting better at asking people! I haven’t started asking people I don’t know in person yet, but I think when I do, its going to be very exciting. I will let you know when we do. 😀 how exciting. Lol I’m not very consistent and I am not doing things as awesomely as I want to be…but it’s all a learning process lol yes when you visit we will meet 🙂 it is exciting! Bwahaha!! You are funny!! 😂 and i love it! I have been reading these interviews she does for a while and was pleased to be one of them. Great to meet you. I felt we had quite a bit in common, from what I read. We started our blogs at the same time and I love Maleficent too. I am visually impaired and unable to make costumes, like you did, but I can write and I wrote a review of the film. I wanted to share how much that movie meant to me as a child, how much it means to me now, and what I thought of how Maleficent’s story was portrayed. I also did an interview with a cousin of mine who now runs her own hair salon. I think hair says a lot about a person and how they wish to present themselves to the world. I love going to her salon and being pampered. I know you do a great thing for people. I am always fascinated with the psychology of hair and also how people converse with their stylist while sitting in that chair. Living in California sounds like a great thing to me at the moment. Here in Canada it is so cold. Love this site and hope to read more. That’s awesome! 🙂 nice to meet you too! It is so nice getting pampered and it’s funny how people like certain things about their hair lol and people tell me everything! But it’s part of the act of me doing a device for them and my hands are on them the whole time. It’s super flattering when someone is so relaxed and comfortable with you. Living in California would be amazing! I live in Las Vegas, NV so I’m really close and get to visit often, but not as often as I would like. That is what my cousin said. 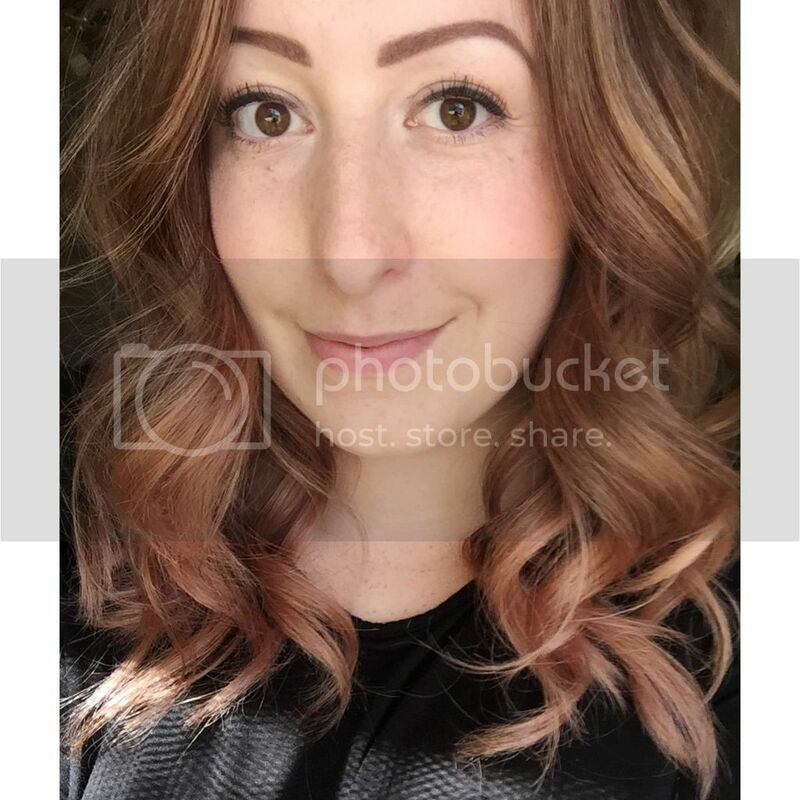 Would love to get your thoughts on my interview with my cousin who has the salon, when I post in a few weeks time. Oh, must’ve read that wrong. Sorry about that. Living in Vegas must be cool too. Yes, I look forward to reading future posts and thank you for following me as well. It was a good review. I really loved the movie. Are you really blind?! Wow! Forgive me of my ignorance, but how do you read and write a blog? My computer talks/reads to me what’s on the screen, speaks letters as I type them.